Is Your Pet A Gourmet? The growing number of American gourmets includes pets. Sales of premium pet foods—natural/organic, fortified/functional, weight control, and life stage, among others—helped boost 2005 sales to $14.5 billion. According to “Pet Food in the U.S.: Riding the Premium Wave,” a new report from Packaged Facts, converting consumers—and their pets—to higher priced, premium foods will continue to be a major factor in the pet food market. WELLNESS is an example of a brand of uniquely formulated, all-natural food for pets (www.omhpet.com) sets the bar high. Created to help pets live happier, healthier and longer lives, it contains no meat by-products, rendered animal fats, digests, ethoxyquin, white rice, wheat, corn, soy, or artificial flavors, colors or preservatives of any kind. Marketers, furthering the “pets as family” boom, spend more than $275 million in advertising, almost all of which promoted deeper attachments with pets. Simultaneously, 2006 is shaping up to be a banner year for sheer number of new product entries. During the first six months, marketers launched 175 new dog and cat food products—almost as many as appeared in all of 2005. What does this mean for you and your animal companion? Echoing human trends, the upscaling of pet food will mean ever healthier, more functional fare with increasingly targeted benefits; more convenient products based on new forms and package types (especially preportioned, single-serve, and resealable); and additional gourmet/luxury products, keying in to pet owners’ ever-growing proclivity to pamper their pets as much as themselves. “The push is really on to feed pets human quality food that meets the same stringent taste, nutritional, and portion size demands that consumers are experiencing with their own food,” said Don Montuori, the publisher of Packaged Facts. Our question is, when it becomes time to cut back on luxuries, who gives up the fancy food: you or Rex? Salt Shaker. 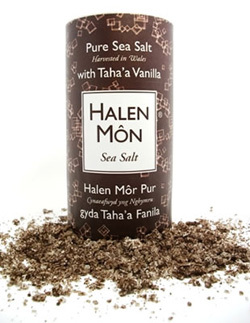 New on the gourmet salt front is the latest “flavor” of the Welsh salt treasure, Halen Môn. The Anglesey Sea Salt Company has blended its famous hand- harvested, large-flaked sea salt with Tahitian vanilla. The salt is hand-harvested from the fresh, mineral-rich Atlantic channel that surround the Isle of Anglesey (or Ynys Môn, pronounced unn-iss mon in Welsh), off of Wales. With the added mellow sweetness of Tahitian vanilla, it is an excellent finishing salt for all seafood (start with seared scallops), cream sauces and all kinds of creamy or chocolatey desserts. Sprinkle some on chocolate mousse, ice cream, even a chocolate bar. Last year, the company introduced a smoked version of Halen Môn, a heavenly complement to meat and fish. It was awarded the NASFT 2006 silver medal for Outstanding Savoury Condiment, Pasta Sauce, Salsa, Cooking Enhancer or Spice. Halen Môn is available at ChelseaMarketBaskets.com. Beer Nouveau: Something To Get Hopped Up About. Forget Beaujolais nouveau, a light harvest wine invented to bring in some income while the “real wine” was aging and acquiring character prior to sale. Instead, look for harvest beers, also called fresh hop or wet hop beers. They begin appearing in late September. For brewing purposes, hops are typically dried; wet-hop beers use hops that have been picked just hours before, so they still possess the volatile flavors that are lost during processing. A fresh-hop beer can often be less bitter than a corresponding version with dried hops, and can show floral, citrus, greenish, vegetal flavors. Sierra Nevada Brewing Company was the first to make a fresh hop beer about ten years ago. More brewers in hop-growing regions like Northern California and the Pacific Northwest followed suit. The beers were sold locally on tap, and still are. Sierra Nevada Brewing Company has since bottled and sold its Harvest Ale—in all 50 states last year, up from five states in 2000. More farmers have planted harvest hop yards, and other harvest beers can be found nationwide. Look for them in another few weeks. Is The Soda Worth 15 Pounds? An extra can of soda a day can equate to a 15-pound-a-year weight gain, according to an article in the American Journal of Clinical Nutrition. A team of medical researchers at the Harvard School of Public Health reviewed 40 years of nutrition studies, and noted that soft drink trends have marched lock-step with the growing obesity epidemic. While acknowledging other factors, the study comments that there is an overwhelmingly strong case to be made for a causal relationship. A single 12-ounce can of soda provides the equivalent of 10 teaspoons of table sugar, the Harvard review says. About one-third of all carbohydrate calories in the American diet come from added sweeteners, and beverages account for about half of this amount. Might we suggest the sugar-free iced teas reviewed in last month’s issue–so delicious that they require no sweeteners? Got Crab? Environmentalists and fishermen in northern Norway are warning of a Russian invasion of alien crustaceans which are threatening to ruin the local sea fauna. They say the giant red king crab is spreading with alarming speed from Russian waters along the Norwegian coast, destroying everything in its wake. The crab has few natural enemies, and is considered to be an omnivore, digesting everything from cod larvae to other crabs. But it is also a sought-after delicacy. Norwegian environmentalists are beseeching the government to increase the annual fishing quota of 300,000 crabs—the Russian quota is ten times that. Local fishermen agree: too many king crabs ruin their nets. If the government does increase quotas and make more of the red king crabs available, fishermen, environmentalists and seafood lovers would appear to benefit. 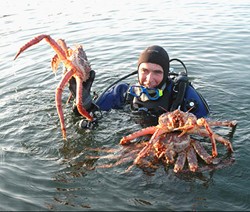 The red king crab, shown in the photo above, is native only to the North Pacific around the Kamchatka peninsula and neighboring Alaskan waters. Soviet scientists introduced the species to the Russian Barents Sea near the border with Norway in 1960. Since then, millions of crabs have spread west. Photo courtesy of BBC. Frozen Pomegranate Juice. If you’ve been spending a lot on Pom Wonderful® because of its antioxidant properties, a new entrant can help cut your pom costs while supplying you with an economical version of the popular, “functional” juice. 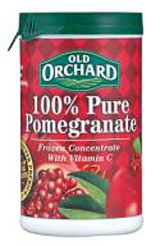 Old Orchard Brands has just introduced the first frozen pomegranate fruit juice concentrate, called simply, 100% Pure Pomegranate. By the end of the month, two pom blends will join it: Pomegranate/Blueberry and Pomegranate/Cherry, plus a 100% Pure Tart Cherry concentrate. All four flavors feature 100% real fruit juice, with no added sugars, preservatives or artificial colors. The 12-ounce can reconstitutes to 48 ounces of 100% juice—nearly half of the cost per ounce when compared with Pom Wonderful. The juices are available at select Wal-Mart stores nationwide. Pomegranate has become a popular fruit in short order because of the plentiful antioxidants in the fruit and the associated health benefits. Pomegranate, tart cherry and blueberry all score near the top of the U.S. Department of Agriculture’s Oxygen Radical Absorbance Capacity (ORAC) scale, a chart used to score antioxidant values in food. A recent independent study indicates that pomegranate juice reduces oxidative stress due to its high-antioxidant levels, resulting in health benefits ranging from anti-aging to improved cardiovascular health. In addition to the new frozen concentrate varieties, Old Orchard offers bottled juices in shelf-stable, 64-ounce packaging. The bottled varieties are available in select grocery stores across the U.S. and are sold by the case online at OldOrchardJuice.com. Chicago Sued Over Foie Gras Ban. In a story reported by the Associated Press, Chicago chefs are defiant over the foie gras ban. Saying that the City Council stuck its beak where it doesn’t belong, a restaurant association sued the city Tuesday in the hopes of making foie gras legal again, while a handful of chefs foie gras is not going to simply duck out of town. “The law says we can’t charge for it,” said Michael Tsonton, chef and partner at Copperblue. “It doesn’t say we can’t give it away.” While some chefs said they’ll stop serving foie gras, others said it will appear on plates as a garnish. Customers will get a bill for the garnish, but restaurants won’t charge for the foie gras. “The ordinance prohibits the sale of foie gras,” said Tim Hadac, spokesman for the city’s health department, which beginning last week is in charge of enforcement. “If, in fact they do that (give it away for free), that may be a way for them to fly under the radar.” Fans of the expensive treat have been gobbling it up like never before in anticipation of the day the ordinance kicked in and it became duckus non gratis in the city. 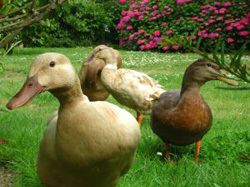 Critics see the ban as an attack on the rights of consumers to eat what they choose to eat and their right to create the kinds of dishes they want to create, regardless of whether animal rights activitists feel that the production of foie gras, which involves force feeding ducks and geese to enlarge their livers, is inhumane. Attorneys for the restaurants expect to file a motion for a preliminary injunction in the next few weeks. Hopefully everything will turn out just ducky. Asparagus, But Not Blueberries. The FDA recently released a list of the top 20 vegetables and fruits consumed in the U.S. While twenty is long enough to include almost everything, the hottest antioxidant fruit, blueberry, did nto make the list—most likely because of its short season and high price. And the winners are (in alphabetical order, as released)"
The 20 most frequently consumed raw fruits: apple, avocado (California), banana, cantaloupe, grapefruit, grapes, honeydew melon, kiwifruit, lemon, lime, nectarine, orange, peach, pear, pineapple, plums, strawberries, sweet cherries, tangerine, and watermelon.. The 20 most frequently consumed raw vegetables : asparagus, bell pepper, broccoli, carrot, cauliflower, celery, cucumber, green (snap) beans, green cabbage, green onion, iceberg lettuce, leaf lettuce, mushrooms, onion, potato, radishes, summer squash, sweet corn, sweet potato and tomato. Not Your Grandmother’s Malt Shop. Your parents hung out at a soda fountain. For your parents it was a pizza parlor or burger joint. If you’re under 20, you grew up in...the coffee shop. There are more than 21,000 coffee bars nationwide, according to the Specialty Coffee Association of America, up from about 5,000 just 10 years ago. Plus, parents don’t seem to mind if their kids hang out there because coffee bars are seen as safe, clean and a place they like to go themselves, “better than McDonald’s,” to quote one dad. Youngsters start out drinking hot chocolate and graduate to Frappuccinos. Many American kids now get steeped in coffee-bar culture from infancy: it’s the new, chic center of social activity in many communities, welcoming of babies and toddlers, and there’s something for everyone at every age level. Teen customers find them cool, too. Sounds like the new Norman Rockwell of our era...except that the nutrition watchdog Center for Science in the Public Interest has singled out some of the milkshake-like beverages at Starbucks, e.g., for being laden with saturated fat-based whipped cream and high-calorie sugary syrups. It’s enough to make a coffee chain defensive about kid customers. As reported in The Washington Post, it’s enough to put a coffee chain on the defense. “I do want to let you know that first and foremost we don't market to kids,” said Sanja Gould, a spokeswoman for Starbucks. The child-size cartons of flavored milk, the kid-friendly music and the sponsorship of the recent movie “Akeelah and the Bee” are not marketing efforts aimed at kids, she said, but are done because Starbucks “is a community gathering place.” The majority of the chain’s customers are between 18 and 49, Gould added. Teen drinkers account for only about 4% of all coffee consumed in the United States, according to NPD’s Harry Balzer of NPD Group, a market research firm that tracks America’s eating habits, “but there’s no denying that it's a growth market.” A small Starbucks Vanilla Crème Frappuccino, typically served with whipped cream, has 350 calories and 11 grams of fat. 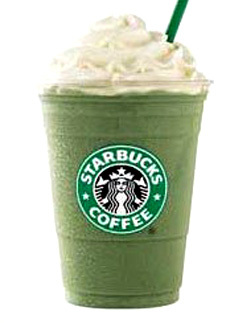 A medium Java Chip Frappuccino, also with whipped cream, has 510 calories and 22 grams of fat, according to the Starbucks Web site. That’s almost like the malts at the malt shop of yore. Coffee: The Newest Antioxidant. From May through July, the top medical journals have been publishing articles suggesting that antioxidants in coffee may be as helpful in their way as the antioxidants in tea. The American Journal of Clinical Nutrition, suggests that antioxidants in coffee may dampen inflammation, reducing the risk of disorders related to it, like cardiovascular disease. Researchers have found strong evidence that coffee reduces the risk of several serious ailments, including diabetes, heart disease and cirrhosis of the liver. Larger quantities of coffee—four to six cups per day—seem to be especially helpful in diabetes prevention. In July, another article in the same journal published a finding that a typical serving of coffee contains more antioxidants than typical servings of grape juice, blueberries, raspberries and oranges. Recent studies, published in June in The Archives of Internal Medicine, confirmed the finding. It’s not the caffeine, but other compounds in the coffee that may contribute to its antioxidant capacity, including phenols, volatile aroma compounds and oxazoles. 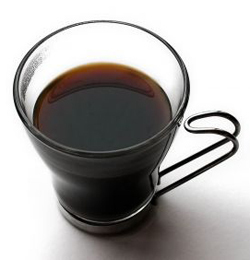 Studies that looked at decaffeinated coffee alone found the same degree of risk reduction. Still, not everyone can drink up, especially people with high blood pressure. Check with your healthcare provider. Vote For The Next Samuel Adams® Beer. Through the end of September, Samuel Adams is letting America choose what craft beer it will produce next. As part of the promotion, beer enthusiasts have the chance to cast their votes for the next style to be produced. Two distinctive, full-flavored styles of craft beer will be sampled nationwide as part of the Samuel Adams “Beer Lover’s Choice” program. Beer lovers can stop by their local bars to taste and vote. The schedule of tasting events is posted at www.samueladams.com. 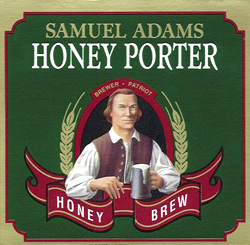 Samuel Adams® Honey Porter, first brewed in 1994, was nominated due to customer demand. (It was retired after winning a gold medal at the 2003 Australian International Beer Awards and a gold medal at the Monde Selection in 2002.) It’s a full-flavored, full-bodied English porter with a substantial roasted malt character offering a smooth, sweet finish. This beer is brewed with traditional English Ale hops and is dry-hopped with English Goldings, known for their spicy aroma and distinctive, earthy flavor. The Honey Porter is sweetened with Scottish heather honey, which balances the spiciness of the hops. This brew is the perfect complement to glazed ham, spicy chili and roast vegetables, such as beets and carrots that bring out the herbal notes found in the hops and the sweetness in the honey. Samuel Adams Honey Porter also pairs well with rich desserts such as baklava and molasses cookies. The other contender is Samuel Adams® Smoked Lager. Smoked beers are relatively rare in the U.S. Samuel Adams has created a Southern German rauchbier, a historic style of beer dating back to the 1500s. The Smoked Lager is a full-flavored, traditional Bamberg style, using smoked malt from Bavaria. The smoky aroma of the brew is balanced by sweet caramel notes, giving it a unique character, with flavors reminiscent of ham or bacon. The beer pairs nicely with grilled foods like beef or salmon, and barbecued favorites such as pulled pork or smoked chicken. Its complexities also pair well with grilled fruits such as pineapple, banana and mango. The heat caramelizes the fruit and the smoky flavor matches the smokiness of the beer perfectly. The brew that receives the most votes will become part of the Samuel Adams Brewmaster’s Collection beginning in January 2007, a mixed 12-pack that features a variety of Samuel Adams favorites. The Brewmaster’s Collection is available nationwide all year long. Craft beer is the fastest-growing segment in the alcoholic beverage category, proving that Americans have come to appreciate the complex, full-flavored beers made by America’s craft brewers. Green Tea Beer. Yes, you heard correctly. 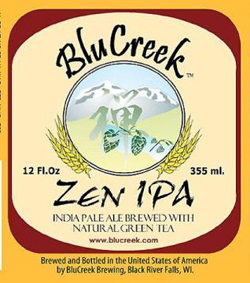 For those who want a craft beer but think they should might be better off with a healthy cup of green tea, BluCreek, a brand developed by a marketing company that anticipates consumer desires, has introduced Zen India Pale Ale, a beer with the supposed health benefits of green tea. Zen is brewed with fresh Chinook, Cascade, and Centennial hops as well as green tea. The brewery believes that the green tea beer is first of its kind. It is said to have a subtle green tea flavor. According to BluCreek, it is “for the IPA lover interested in more than just substantial hops character...more mystical... magical... wonderful.” The company also makes an amber ale brewed with real wild blueberries and wild blueberry juice from Maine, which has a subtle wild blueberry aroma and taste, but is not sweet like many fruit beers. It is said to be a good complement to fresh seafood, grilled foods, lightly salted nuts and cheesecake. We give them an “A” for creativity, and look forward to tasting them. Not A Beer Drinker? Have An Organic Cocktail. We have seen organic wines for years, but when we visited the All Things Organic trade show in May, we were stunned by the number of spirits that were organic. 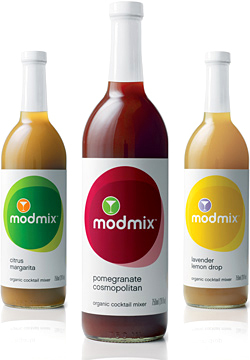 Now, they can be mixed into 100% organic cocktails with a new line of organic gourmet cocktail mixers. ModMix’s (www.mod-mix.com) stylish entries include Citrus Margarita, the classic margarita infused with fresh orange; Lavender Lemon Drop, a Provençal take on a cocktail classic; and Pomegranate Cosmopolitan, the uptown cosmopolitan updated with one of today’s happening flavors. For those who don’t want an alcoholic cocktail, the mixers can be stirred into sparkling water. The ingredients include raw sugar and organic fruits and herbs. The Los Angeles-based founder, Gretchen Nix, is a health professional who saw the need in the marketplace. Why Did It Take This Long: The Bacon Cheeseburger Pizza. In a dazzling revelation of the obvious, someone—in this case, Uno Chicago Grill®, home of the deep dish pizza—has finally invented the bacon cheeseburger pizza. The ultimate in American food fusion, the Bacon Cheeseburger Deep Dish Pizza fills Uno’s deep dish crust with hamburger, Cheddar, mozzarella, ketchup, mustard, dill pickle, bacon, caramelized onion and plum tomatoes. Essentially, instead of having your burger ingredients on a bun, they’re in a deep dish pizza crust. A recent survey conducted by Uno showed that pizza tops the list of America’s favorite foods, chosen by 38 percent of Americans. Cheeseburgers are the number three choice of 18 percent. Why not the number two choice, then? It’s spaghetti with 21 percent of the votes. More than three billion pizzas are eaten in the U.S. each year—that’s about 350 slices of pizza per second. While exact hamburger and cheeseburger statistics aren’t available, the average American eats more than 66 pounds of ground beef per year, much of it served on a bun. Said Chris Gatto, Uno Chicago Grill’s executive chef. “When we ask our regulars what they love most about Uno, they always say our Deep Dish Pizza, of course, but also our terrific burgers. So we thought, let’s bring these two favorites together in one delicious dish. No surprise—it’s been a hit. People can’t believe how much it tastes just like a cheeseburger.” Then why not order the cheeseburger? The novelty! Might we predict next, the tuna melt pizza? The meatball sub pizza? The veal parmigiana pizza? Maybe even the spaghetti pizza—eat the spaghetti out of the crust and then sprinkle on more parmesan cheese and eat the “cheese crust.” Mr. Gatto, can we sell you that idea? Meet The Mangosteen. The mangosteen is the Shangri-La of fruits. It is said to be one of the most exquisite of fruits, with a floral, sweet- tart flavor. But unless you’ve been to Thailand or other Pac Rim ports, you’ve probably never tasted one—they have been unavailable in the Continental U.S. That’s about to change. According to The New York Times, the Puerto Rico-based Panoramic Fruit Company has just sent the first batches of fruit from its grove to restaurants in Los Angeles and New York, and hopes to be the first producer in decades to ship fresh mangosteens to the mainland, to start selling by next summer. 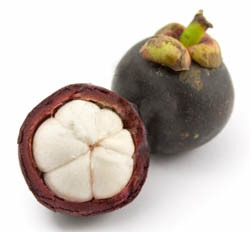 The company has been working for more than ten years to raise a decent mangosteen crop. It’s difficult to grow the mangosteen (Garcinia mangostana); it doesn’t propagate easily by convenient methods like grafting, and when raised from seed the trees take 8 to 10 years or longer to bear fruit. The fruit is subject to attack by insects, and the fruit is subject to gamboge, a bitter resin that seeps into the pulp. The necessary fumigation to kill the insects makes the mangosteens prone to rapid spoilage. Imports from countries like Thailand must be irradiated before they can be allowed into the U.S. For all these reasons, you haven’t seen a mangosteen in the market. The Puerto Rican crop will be closer, fresher, and not require radiation. It’s something to look forward to. Invasion of the Adman. In the Beatles song, “Taxman,” the lament is that no matter what you do, the Taxman will figure out how to tax it. If the Beatles had only written a sequel about the Adman, they could have added supermarket conveyor belts to the list of toilet stall doors, bald pates, and other places that advertising companies have figured out how to cover with advertising. 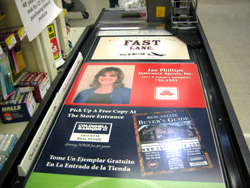 Trade magazine Advertising Age reported on EnVision Marketing Group’s patented system that prints digital, photo-quality ads directly on the plain-black grocery checkout conveyor belts. What we see as a functional surface to check out our groceries, they see as 10 feet of “wasted ad real estate” in every checkout lane. It has now become a hodgepodge of cacophonous ads from estate agents, pizza parlors, and other local businesses. Currently, because the ads can be changed only every two weeks, they tend to be brand-building rather than announcements of weekly specials that will cause customers to race out of line for something they’ve forgotten. Alltel, the national wireless company based in Little Rock, where EnVision Marketing Group also is located, is the first major national advertiser to buy conveyor ads. As this catches on, generating revenue for supermarkets, national food advertisers are sure to follow, especially to promote new products. Cincinnati-based Kroger Stores is the first national retailer to try Ads-N-Motion, in a test in a few dozen of its stores in the southeast. Harps Food Stores, a 52-store grocery chain based in Springdale, Arkansas, is also testing the system in 13 stores. A Harps store manager reported receiving consumer complaints the first week the system was installed, but none since. Citizens of America: does this advertising provide you with value or intrude upon your senses? Perhaps just changing the conveyor belts to solid seasonal colors and lively patterns would cheer our day. Be sure to let your store manager know. Melons Are The Square Deal. 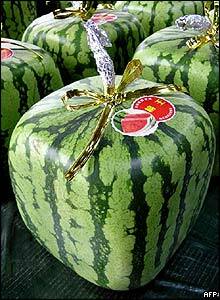 Tesco, Great Britain’s leading supermarket chain, plans to sell square-shaped watermelons beginning in October. While square watermelons are currently available in Japan, Tesco says it will be the first U.K. purveyor. Why a square melon? According to Food Business Review Online, they “help consumers combat the problems of storing the fruit, which can roll around in the fridge.” However, the ace food reporters at THE NIBBLE know that the square melons were invented by farmers in Zentsuji region of Japan for a very different reason. Many Japanese have small, square refrigerators, the exact opposite of so much space that oblong melons are rolling around uncontrollably. However, we can see the advantage at retail, where stores need to pile up the fruit. The square shape is achieved by placing a wooden box around the melon as it grows. According to industry press reports, Tesco hopes to sell the melons for no more than GBP5 ($9.50), compared to the Japanese price of GBP45 ($85.75). Yes, that’s eighty-five dollars: so run right out and enjoy the last fruits of summer for 40 cents a pound! The Tesco melons are being grown exclusively for the retailer by one of their regular suppliers in Brazil. Trends In Everyday Chocolate. At the recent 2006 All Candy Expo 2006 for the trade, the demand for dark chocolate emerged as a bona fide trend. Last year, many smaller companies showed dark chocolate, but all the press about the health benefits has gotten the major players pushing the dark stuff as well. Hershey attributed much of its quarterly success to dark chocolate, and a Masterfoods representative was overheard to say that that the company had 3,000 requests for the full-time introduction of Dark Chocolate M&Ms, which were available for a limited time only last year during the Star Wars Episode III launch. Although white chocolate doesn’t have the health benefits of dark chocolate, there may be a grass roots demand for White Chocolate M&Ms, the official candy of Pirates of the Caribbean 2. 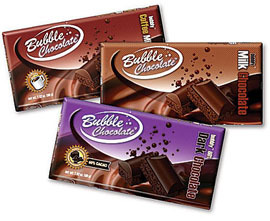 While we rarely enjoy mass-marketed candy, we personally love Bubble Chocolate, an “aerated” chocolate bar from Beylorus that’s popular in Europe and now available in the U.S. It’s not what the name sounds like—pockets of bubbles bursting in the mouth—but it’s tasty like a crisped chocolate bar without the crisps in it—a very interesting technology. In Milk Chocolate, Dark Chocolate and Coffee Milk Chocolate, all three are delicious and high quality, showing how much more demanding the Europeans are of their everyday chocolate than Americans (i.e., they taste much better than comparably-priced chocolate in the U.S.). The Dark Chocolate tastes a bit like devil’s food cake to us, and the milk was not sticky-sweet like most U.S. milks. When you see it, try it! It will be available at most retail stores next month, and available online at BubbleChocolate.com. Not A Birdie But A Steer. Professional golfer and businessman Greg Norman has introduced a new luxury brand of Australian beef to the US market. 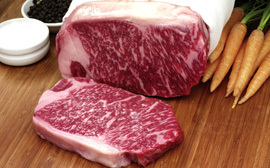 Called Greg Norman Australian Prime, the new brand includes Greg Norman Signature Wagyu, a 350-day grain-fed, super-premium line of Wagyu beef (photo at right); Greg Norman Premium, a range of 120-day grain-fed beef; and Greg Norman 100% Australian Beef Patties and Hot Dogs. Greg Norman Australian Prime is produced in partnership with Australian Agriculture Company, Australia’s oldest corporation, founded in 1824. The company has over 600,000 BSE-free cattle on 24 stations and feedlots, comprising 22 million acres in Australia’s Queensland and Northern Territory. For more information about Greg Norman Australian Prime, visit gnaprime.com.au. Will Peruvian Food Be The New Mexican? American taste buds are always waiting for the next food trend; is Peruvian food it? South-south of the border, with colorful corns, spicy chilies and robust coffees, the cuisine may be what they are looking for. Soon, instead of chiles rellenos with rice and black beans, will we be ordering a dish of lomo saltado, a stir-fry of beef with onions and tomatoes served with fried yucca and garlic rice? Peruvian cuisine, less spicy than Mexican, is characterized by its use of native chilies from red to purple to add color to a dish and a piquant, underlying flavor accent rather than heat. Like Mediterranean cuisine, it focuses on aromatic herbs—native herbs such as huacatay (black mint) are popular along with cilantro, oregano and basil. Regionally focused, the cuisine interweaves ethnic traditions and techniques with indigenous foods. Latin American products importer Goya Foods has doubled its Peruvian product line in the last year to meet demand, and the Associated Press notes that Peruvian restaurants are popping up around the country as well as in Japan, Canada, Spain and other parts of Europe. We’ve seen the purple Peruvian potatoes in supermarkets, but Peruvian peppers are appearing as well as chili pastes, chocolate and organic coffee. The indigenous foods of the Incas, including quinoa, corn, fish and potatoes, were embellished by the Spanish and their inheritance of Moorish cooking styles. When Chinese immigrants arrived in the mid-19th century to work on the railroads, they introducing stir-fry, soy sauce and ginger (today’s Peruvian style Chinese restaurants are known as “chifas”). The Italians brought their Mediterranean flavors and noodles, and the Japanese and Africans, too, added the customs and flavors of their countries to what they found. The cuisine continues to evolve with the continued to evolve with the Novo Andina or New Andean, movement. Look for it (hopefully) at a restaurant near you. Google Gourmet. People who work for Google have more than an exciting work environment and great stock options—they get free gourmet meals at company restaurants for breakfast, lunch and dinner, The company, which has 8,000 employees, has created an extravagant employee dining program that “arguably is second to none” according to restaurant executives (except perhaps for the most exclusive executive dining rooms). The company’s culinary offerings stand out even in comparison to other Silicon Valley firms famous for lavishing perks on employees. From the company’s perspective, easily-available meals relieve staff concerns about what to do for meals, keep people focused on work, save time—and, the high-quality food makes the staff happy. Food service at the five restaurants on the Mountain View campus uses organic and locally-raised foods that come from within 150 miles of the restaurant. Animal products must be free of steroids, growth hormones, MSG, nitrates and nitrites; and all fish must be line-caught. Chefs, hired from the Bay Area’s great restaurants, make dishes like Chinese sausage sautéed with clams and fresh basil, beef skirt steak with handmade yam noodles, wild rice and hazelnut salad and crispy tofu slaw. All are arrayed in self-service displays so employees can help themselves. There are a total of 600 to 700 daily menu items, so no doubt, the tuna sandwich, burger and pizza are there for the asking. The 4000 to 6000 employees (Google is tight-lipped with its stats) can bring friends and family—so the company feeds 150 percent of its population everyday. 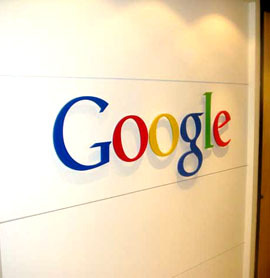 That would mean the company spends approximately $37.44 million annually on its food program, which sounds like a lot but is only about 0.6 percent of Google’s most recently estimated annual revenues of $6.14 billion. Not Exactly Sour Grapes. After three years of sluggish growth, the larger market for vinegar declined slightly by 1.9% in 2005, according to Vinegar and Cooking Wine/Sherry in the U.S., a new report from market research publisher Packaged Facts, But premium and organic vinegar—infused with flavors ranging from passion fruit to blueberry to ginger—is booming. The entire vinegar market will surpass $415 million in sales by 2010. No More Need To Squeeze The Melons. Produce Pete, watch out: scientists at the University of Arizona have come up with a sticker that changes color as fruit ripens. The stickers are the brainchild of Robert Klein, an Albuquerque psychologist who began collaborating with Mark Riley, an associate professor in agricultural and biosystems engineering at the University of Arizona. They formed a company called Redi Ripe and have applied for a patent for the stickers. Many fruits and vegetables give off a natural gas called ethylene as they ripen. The stickers, which contain chemicals to detect ethylene, would gradually turn from white to blue—a process that takes about 24 hours. Redi Ripe is still tweaking the stickers. For example, since fruits and vegetables ripen at different rates and give off varying amounts of ethylene (or none at all), researchers are deciding if they can customize the stickers for specific varieties, or use a series of numbers to signify levels of ripeness. It’s a great idea: if consumers know they are going to get “good” fruit, they’ll buy more and eat more. The stickers could also help reduce waste at the distribution, retail and even the orchard level. It is estimated that U.S. apple growers alone lose about $300 million annually due to spoilage and inefficiencies in determining ripeness. In fact, the stickers will be tested for the first time on dozens of apple trees in Washington State during this year’s apple harvest, which runs from August to October. But, Squeeze The Chocolate “Bar.” The Lava Bar by Lava Chocolate LLC, positions itself as “is the world’s first liquid chocolate bar.” It’s a squeeze package of 2.5 ounces of “gourmet” (we haven’t tasted it), pourable chocolate. A perforation at the top of the pouch enables chocolate lovers to easily tear open the “bar” and squeeze the liquid chocolate into their mouths. To our perspective, this is a sweetened version (and probably higher-quality chocolate) of the liquid baking chocolate that was on the market several years ago as a convenience so that cooks didn’t have to melt the chocolate. Chocophiles that we are, we tried squirting that in our mouths, with a sugar chaser. 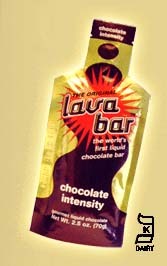 It wasn’t the neatest thing in the world, although the Lava Bar packaging has more of a directional “spout” than the baking packet did. The company suggests that the chocolate can be easily dissolved in milk shakes, coffee or hot milk; or served as a topping for ice cream, fresh fruit, cookies, or brownies. For more information, visit www.lava-bar.com. 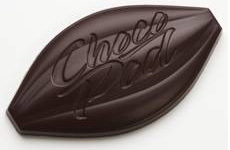 Better Yet, Enjoy A Chocopod. One of our favorite chocolatiers, Chuao Chocolatier, has created a perfect small daily treat, an 11-gram micro-bar shaped like a cacao pod and called the Chocopod. It is spiced in either Nutmeg or Spicy Maya, which are wonderful complementary flavors to a cup of coffee—and the micro-bars are the perfect little taste to accompany a cup. (The company’s large Spice Maya bars is one of our favorite chocolate bars and is also available in a sugar-free version). Spicy Maya is flavored with Pasilla chile, cayenne pepper and cinnamon; Nutmeg has subtle nutmeg and cardamom accents. Chuao Chocolatier (pronounced chew-WOW) is named after the northern Venezuela town and area that produces what many agree is the greatest cacao in the world. If you’re in Southern California, visit the Chuao Chocolate Cafés in La Jolla, Del Mar, Encinitas, Carlsbad and Irvine—it’s worth the trip. For more information, visit ChuaoChocolatier.com or call 1.888.635.1444. Rocky Road? Would you pay money for a tray of ice cubes made from mineral water? If you wanted to drop quality ice into your single malt Scotch—or your glass of Poland Water—common wisdom is that you’d open your $1.69 gallon of Poland Water, pour it into an ice cube tray and make ice cubes for pennies. THE NIBBLE™ has been advocating this for years (in fact, we have an article dedicated to the art of ice cubes in this month’s issue). Several companies are hoping that consumers, restaurants, airlines, hotels and others will take to the most haute of haute concepts, pre-purchased iced cubes made of mineral water. While spring water bottlers like Icelandic Glacial have been sell ice cubes made of their water as a small part of their business, Ice Rocks, a Canadian company that’s in the mineral water business, debuted a new product, Ice Rocks, in a big way at last month’s Fancy Food Show, and plans to have tony boxes of four trays with 12 (small) cubes in stores for about $3.99. 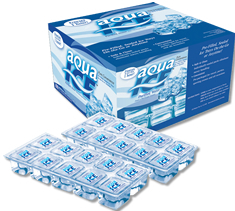 Aqua Ice, made of purified tap water, has a more commercial look. These premium ice cubes are not sold frozen: the water is sealed in the cube trays to be frozen by you at home. It is being promoted on two grounds: better taste and safer than ice made from tap water and handled by humans. Taste is valid for those whose tap water has a noticeable taste or who want to maintain the integrity of their mineral water (in which case, the cube should be the same water as what is being drunk, anyway). But unless one lives in a non-potable water area—i.e., not in a U.S. municipality—there haven’t been even a blip of health incidents using tap water ice. While a University of Texas study found that Salmonella, E. coli and Shigella survive frozen in ice cubes, and Aqua Ice cites that in 1987, 5,000 people fell ill after consuming contaminated ice in soft drink and alcoholic beverages in an outbreak in Pennsylvania and Delaware, that was almost 20 years ago and from commercial ice works. How does that relate to the ice we freeze in trays at home? Based on the proposal from Aqua Ice and Ice Rocks, to replace large bags of commercial ice with their products, for a large party of 100, one would have to budget hundreds of dollars for ice. Given the huge amount of ice we consume outside of our homes, the real risk is contamination through a foodservice facility. But even if restaurants and airlines were given the packaged ice for free, their efficiencies don’t allow them to tear thousands of ice cubes cubes from hermetically-sealed packages each day and pay to cart the trash away—not to mention the mountains of plastic trays for landfill, even if they are bio-degradable. Better to take 20 minutes to clean the ice machine every night. 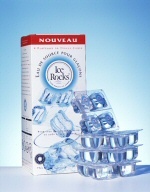 Aqua Rocks does provide excellent advice for cleaning your own home ice maker. You can get it here. Don’t Want Any Ice? Pay More! In a related icy tale, a $1.00 “straight up” charge has cocktail drinkers all stirred up. Now it costs more to not to have ice in your cocktail. In what seems like the beginning of a national trend, this unexpected up-charge recently was noted by William Dowd, associate editor of the Times-Union in Albany, New York. Martinis ordered at the Water’s Edge Lighthouse in Glenville, New York were priced a dollar more because they were ordered “up” and not on the rocks—even though martinis are shaken with ice and then typically served “up” in a martini glass, not on the rocks in a highball glass or a “rocks” glass. The restaurant’s owner said that the extra charge comes from their desire to be fair to all customers, because drinks without ice get almost an extra shot of liquor to fill out the restaurant’s oversized martini glasses. Patricia Dailey, editor-in-chief of the trade journal Restaurants & Institutions, got hit with the $1.00 surcharge when she ordered a sidecar at an upscale restaurant in Chicago. The bartender explained that her straight-up drink took more liquor to fill the glass. Jan Norris, food and dining editor of The Palm Beach Post in Florida, says the practice is “somewhat common” in Florida for the same reason. While restaurateurs claim the upcharge so that “the glass doesn’t look empty,” critics—including the customers—say that establishments should not make the customer pay for their choice to use oversize glassware. Tanja Yokum of the Myriad Restaurant Group in New York, which owns 11 restaurants, agrees. “You’d put [the drink] in a smaller glass so it would fill it correctly.” Ezra Eichelberger, a professor in table service at the Culinary Institute of America in Hyde Park, New York and an expert in restaurant operations, has not heard of the practice but thinks the surcharge is absurd. “Either neat or on the rocks should be the same price per shot,” he stated. The standard pour for a drink either on the rocks or straight up is 2 ounces. Not A Birdie But A Steer. Professional golfer and businessman Greg Norman has introduced a new luxury brand of Australian beef to the U.S. market. Called Greg Norman Australian Prime, the new brand includes Greg Norman Signature Wagyu, a 350-day grain-fed, super-premium line of Wagyu beef (photo at right); Greg Norman Premium, a range of 120-day grain-fed beef; and Greg Norman 100% Australian Beef Patties and Hot Dogs. Greg Norman Australian Prime is produced in partnership with Australian Agriculture Company, Australia’s oldest corporation, founded in 1824. The company has over 600,000 BSE-free cattle on 24 stations and feedlots, comprising 22 million acres in Australia’s Queensland and Northern Territory. For more information about Greg Norman Australian Prime, visit gnaprime.com.au. Info - at - TheNibble.com. Substitute @ for -at-. We use this convention to avoid address-harvesting spam spiders.